AS PART OF the rollout of the new hosted eZproxy service, the ability to register a new (and re-activate an inactive) WGSN account from off-campus has been re-enabled – as long as the student authenticates via the Library OneSearch link. Library colleagues will no longer need to mediate the creation or reactivation of WGSN accounts for students who are off-campus. An updated guide to creating a WGSN account, and guide to managing an existing WGSN account, have also been made available through the listing of the resource in the Find Databases service of Library OneSearch. Posted in eZproxy, WGSN on April 11 2018 by Resource Discovery and Innovation Team Manager. 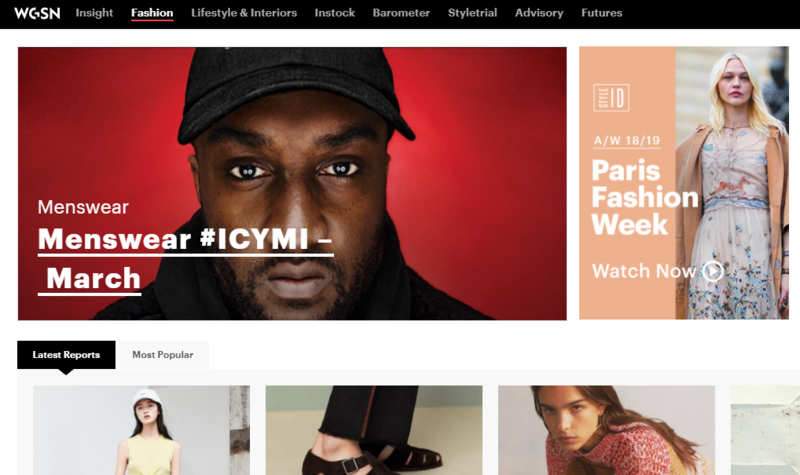 The WGSN service has launched a new and upgraded platform. Access links in Library OneSearch have been updated accordingly. Access to the service for staff and students remains direct on-campus and by university username and password from off-campus. Additional individual account registration is still required in order to make use of WGSN services. The Creating a user account for WGSN guide available through Library OneSearch has been updated to take account of the WGSN site changes. Currently, due to the site upgrade, it is not possible to register for a new WGSN account from an off-campus location. A note alerting staff and students to this access constraint has been added to the WGSN record in LOS. Previously registered users can continue to access the site from off-campus; and once an account has been registered from an on-site location, off-campus access is available. The library is in discussion with the WGSN technical team to see if off-site registration for WGSN can be restored. Posted in WGSN on March 23 2016 by Resource Discovery and Innovation Team Manager. Off-campus access to WGSN (Worth Global Style Network) has now been enabled in Library OneSearch for the first time. On-campus access continues to be direct, with off-campus access now available via university username and password. Posted in eZproxy, WGSN on March 15 2013 by Resource Discovery and Innovation Team Manager.